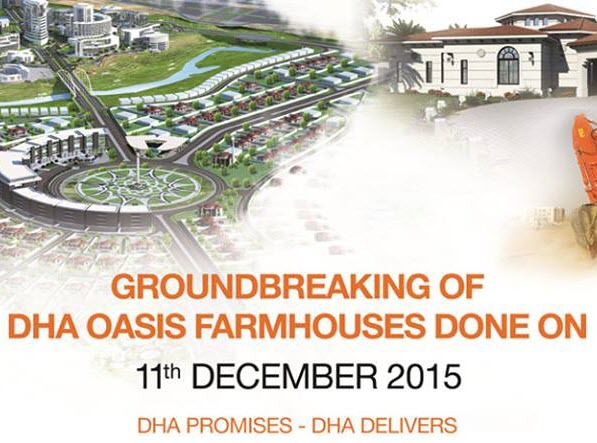 DHA Karachi launches DHA Oasis Karachi, Ready Farmhouses of 2000, 2500 and 3000 Square Yards in DHA City Karachi (DCK). A complete living unit with 3-4 spacious bedrooms, modern kitchen, swimming pool. barbeque area, beautifully landscaped lawns etc. Possession in 30 months. Here are the complete account details for Overseas Pakistani’s who are interested in applying for DHA Oasis Karachi? For complete information about DHA Oasis Karachi, kindly get in touch with contact CITI Associates at citiassociates.dck@gmail.com. © 2019 DHA Oasis Karachi. 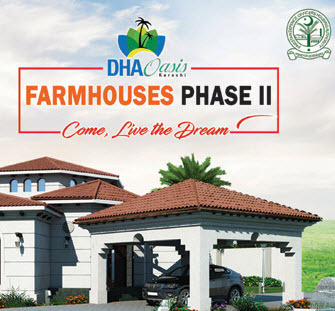 Ready Farmhouses in DHA City Karachi (DCK). 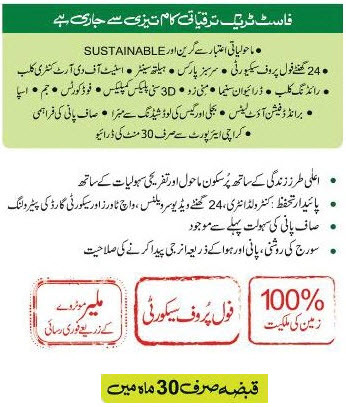 This website is not officially associated with Defence Housing Authority (DHA) Karachi or DHA City Karachi (DCK). All Rights Reserved.